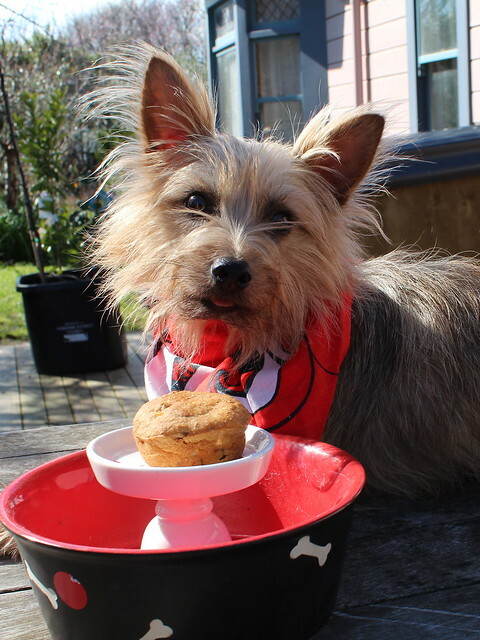 The SPCA annual cupcake day fundraiser for 2014 is this Friday, 25th August. 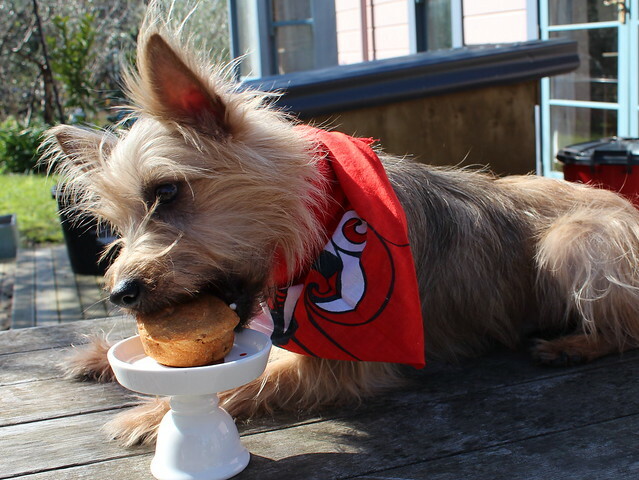 Time to get your pinnies on and bake some pupcakes. 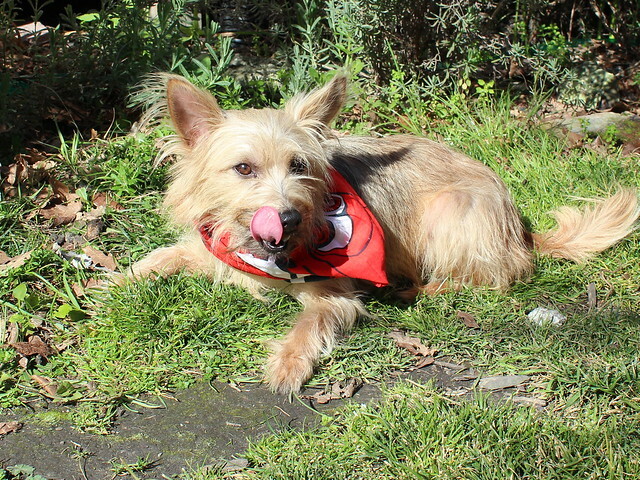 When I received the recipe from the SPCA, I was quite excited to bake the pupcakes as they included apple sauce (or apple purée). It wasn’t until I read the recipe all the way through that I realised they were dog-friendly treats as the ingredients don’t look out-of-place for regular human cupcakes. I used a fresh Braeburn apple, finely chopped instead of dried apple pieces. Baking smells wafting from the oven caused the ever-hungry Mopp over to investigate. ‘Are you baking muffins?’ is the standard question for anything baked in muffin tins. He was incredulous that I was baking for the dogs. I think the unbelief stemmed from the fact that the muffin/cupcake tin was empty again and instead of filling it, I had opted to do some pet baking. As the pupcakes were cooling, I moved on to making Lemon & Apple Cupcakes to keep the teenagers from staging a mass mutiny. The pupcakes look a little like hockey pucks and it is fairly obvious they aren’t intended for human consumption. Although, the Mopp did ask me if the dark ones or the lights ones were OK for him to eat. MMMM, ok. These pupcakes are intended as a treat for your dog and not ordinary everyday fare, much like cupcakes should be a treat for humans. 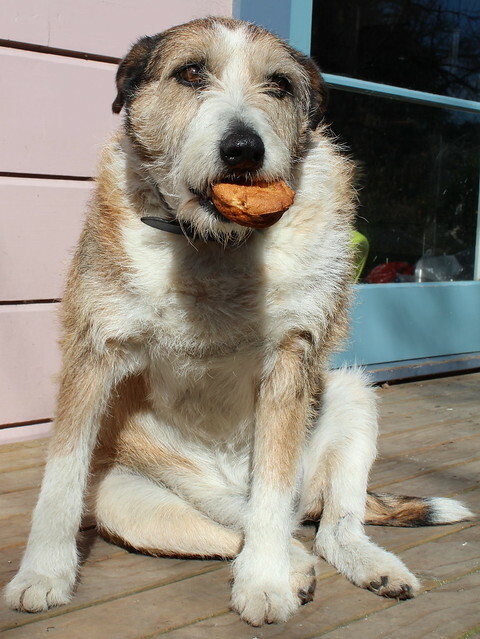 As I was attempting to photograph Holden enjoying his pupcake, I struggled to keep the chooks away. 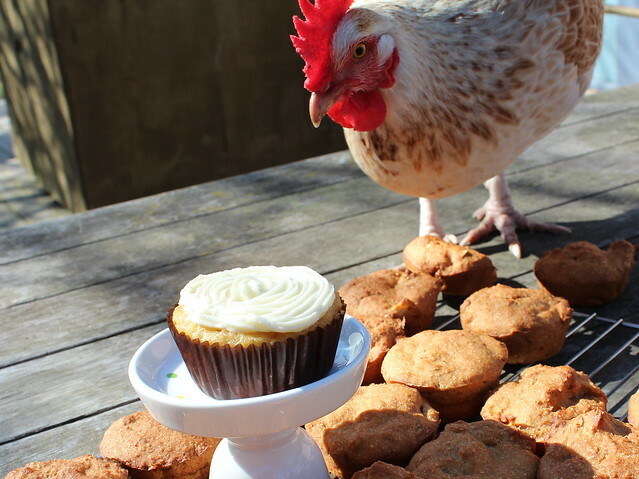 They decided the pupcakes could also be chookcakes (doesn’t sound quite as good as pupcakes). The cats, however, weren’t interested. The idea now is to sell these pupcakes to all my friends and family that have dogs, puppies (or chooks). Mix together wet ingredients thoroughly. Add wet ingredients to dry ingredients slowly, scraping well to make sure no dry mixture is left. Insert a toothpick into the centre of a pupcake and if it comes out dry, they are ready to come out of the oven. Wait until cooled before serving one to your pup. 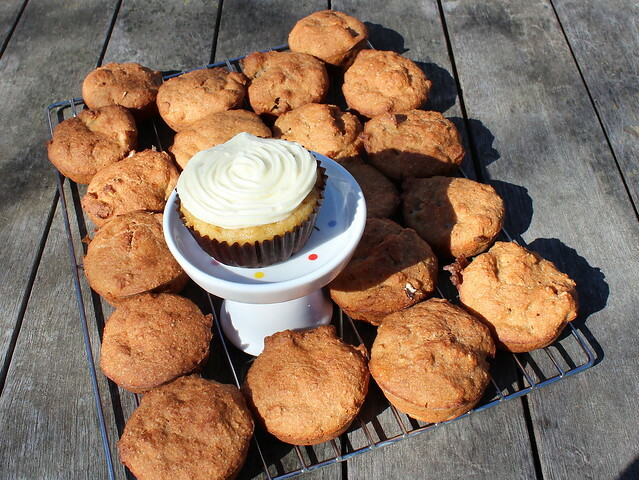 This entry was posted in Baking, Petfood and tagged Petfood, Pupcakes, SPCA by Jo Dohrman. Bookmark the permalink. Really cute and they look happy! Thank you for the pictures and the recipe. You have inspired me to make cat cakes. Let me know how it goes – I’d be quite keen to try cat cakes too. Well, not try as in eat them, but try as in try to bake them for my cats (in case it appeared I wanted to eat cat food).